You might not give much thought to your dental imaging options on a regular basis, but suffering from an oral condition like a missing or impacted tooth reminds you just how important imaging is to your comfort, health, and safety. 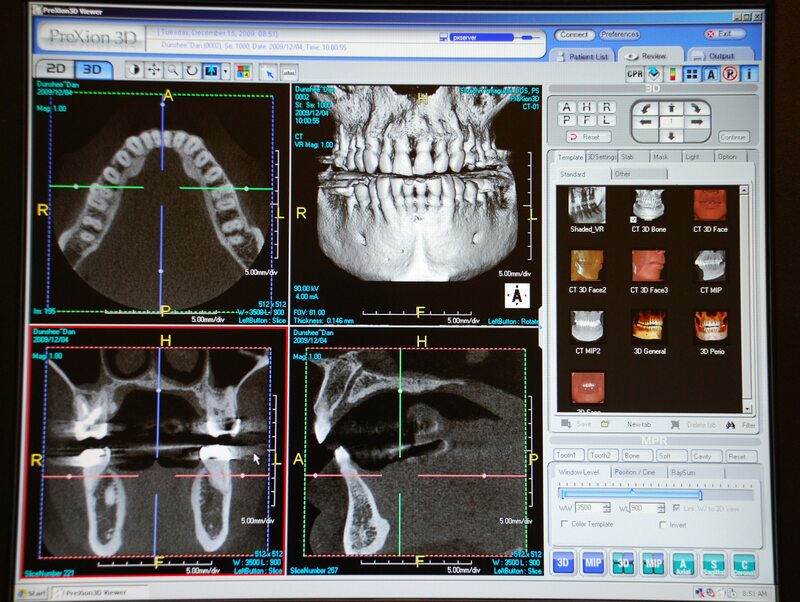 Digital X-rays, CBCT, and CEREC are three essential types of dental imaging that your dentist can use to gain a comprehensive understanding of your teeth, gums, and bones. 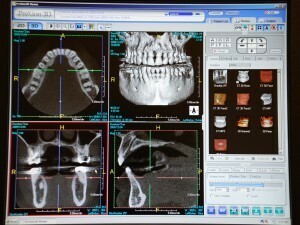 Digital X-rays use advanced technology to capture high-quality images of your smile. They provide a very important diagnostic tool during semi-annual dentist appointments to detect tooth decay hidden from the naked eye, bone fractures or bone loss in the jaw, misaligned bites, developmental abnormalities, impacted wisdom teeth, cysts, abscesses, TMJ disorders, and more. Plexion, a 3-D dental CT scanner, is a state-of-the-art advanced digital imaging technology that uses cone beam technology to diagnose dental problems and support the process of planning treatment. When you have images taken using CBCT, you place your chin and head on the comfortable rests as the scanner rotates around your head in as little as 19 seconds. That’s all! Your dentist can then review the 3-D images that the CBCT produces to analyze an accurate and intricately detailed three-dimensional view of your entire smile. This includes your bone, teeth, tooth orientation, tooth and nerve relation, airways, and sinuses. Whether you need extractions, dental implants, oral surgery, or disease diagnosis, the CBCT makes it possible. CEREC is a high-powered machine that is able to design and create crowns, bridges, and other dental restorations in just one simple visit to your dentist’s office. Unlike traditional restoration technology that requires at least two appointments, the CEREC same-day restoration technology eliminates the need for messy impressions, multiple visits, or ill-fitting devices. You can instantly receive your custom porcelain crown, bridge, or other restoration with this cutting edge technology that creates whatever you need with a custom fit and natural tooth shade. 19th Avenue Dental in Everett, Washington has been using these technologies for more than a decade, and Dr. Yamaguchi is committed to helping all of his patients receive the very best dental care and imaging possible. Call (425) 385-8130 now to schedule your appointment at 19th Avenue Dental.